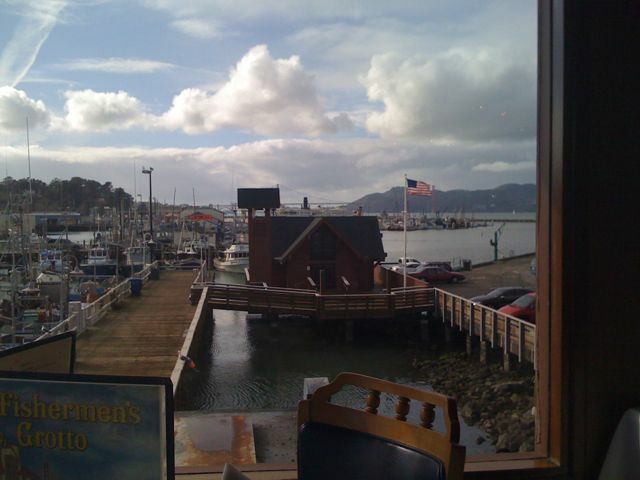 We are at Fisherman’s wharf, and even if we have not yet digested the pancakes, we could not miss having seefood lunch. Now the weather is not that good. It rains 10 min per hour. The way here was nice. We saw where the cable cart turns using a rotating platform, we tried the Ghirarselli peanut butter chocolate mmmm and later on we might go to alcatraz. 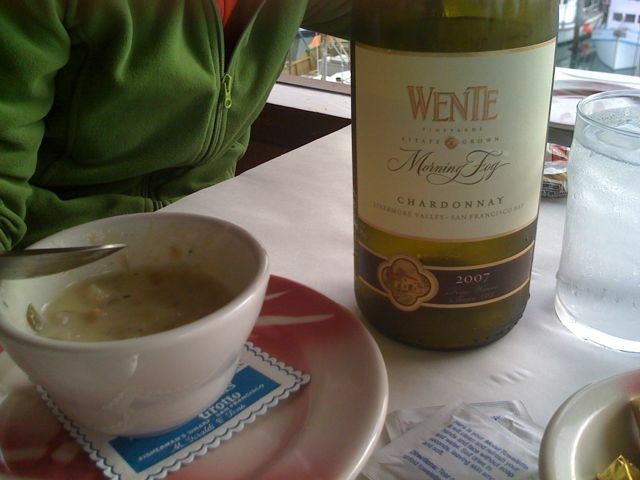 Now we are enjoying white chardonnay from San Francisco bay with seafood at Fisherman’s Grotto, with a lovely view over Golden Gate and the wharf. 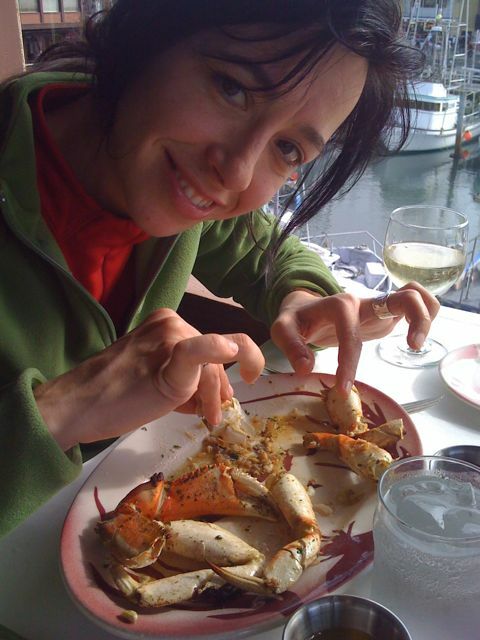 Nuria is winning the battle against the grilled garlic crab, soaking her fingers every 30 seconds in the sauce while saying mmmmm. 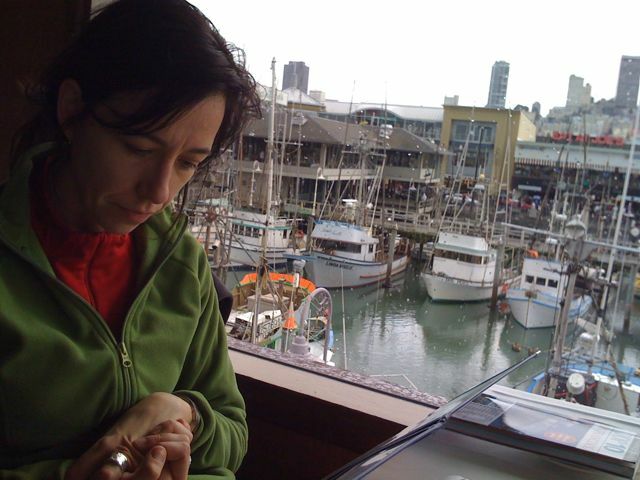 Tagged food, san francisco, tdm, travel.